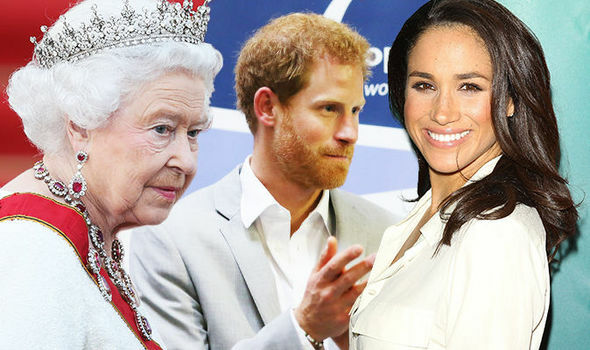 PRINCE Harry is said to have taken another step towards wedding American actress Meghan Markle after introducing her to the Queen at Balmoral. An American magazine, US Weekly, claimed today that Meghan Markle, 36, a star of television legal drama Suits, was introduced to the 91-year-old monarch at her Highland castle on September 3. There was no immediate confirmation from Kensington Palace, which refused to comment, but royal biographer Ingrid Seward, the editor-in-chief of Majesty magazine, appeared to provide some corroboration. Ms Seward, who knew Harry’s mother, Princess Diana, well, said she understood that the fifth in line to the throne and Ms Markle, who have been dating for 13 months, went to Balmoral together shortly after returning from a safari holiday in Botswana and Zambia.